The Mile of Heroes is a one-mile section of the Walk route. 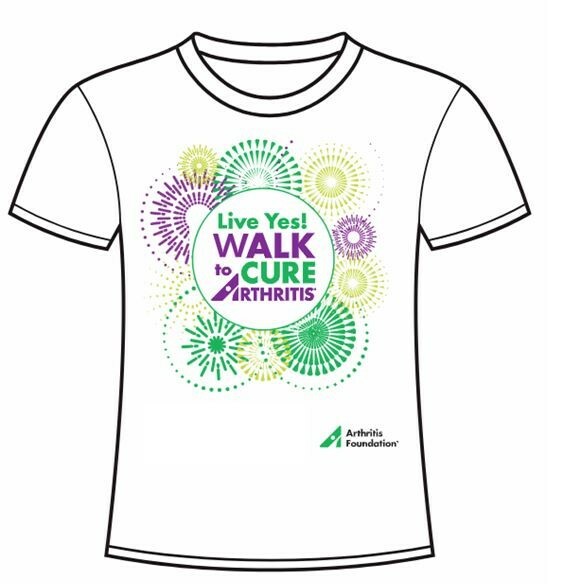 This mile is dedicated to those who have been affected by arthritis. Family and friends are invited to purchase a marker along this mile to honor their "hero". Honor someone special you know who lives with arthritis by purchasing a Hero Marker. The cost of a Hero Marker is $10 and will be placed along the Walk route. To purchase a Hero Marker please choose one of the following payment methods. Payment MUST be received by May 15. Lauren will be in contact with you to personalize a special message for your hero marker. donate $10 to your heroes personal Walk fundraising page. If choosing to donate to their personal fundraising page, please comment "My Hero" in the donation memo. An individual must raise $100 or more to receive an event t-shirt. Teams must raise $1,000 in fundraising dollars by Monday, April 15, 2019 in order to have their team name placed on the back of participant shirts.